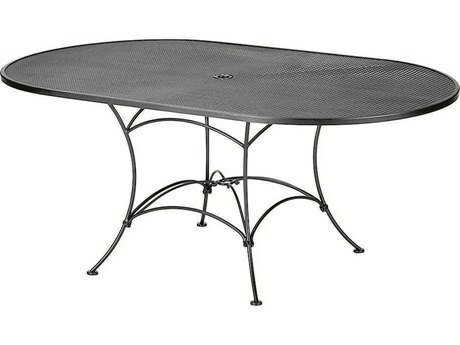 Patio tables serve as a principle anchoring element in any well-styled outdoor living space. 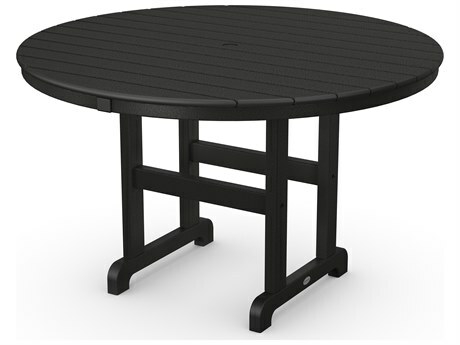 Whether on a dock, a porch, or an open air patio, these tables provide decorative, functional value to any setting, and can also aid in defining the function of your outdoor entertaining space. 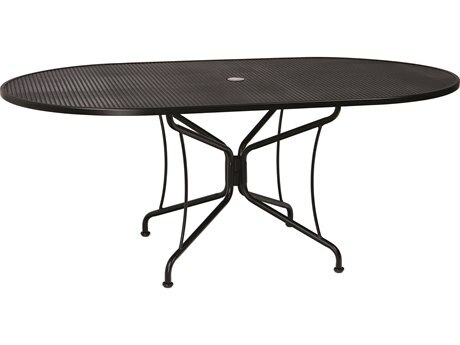 A handsome dining table complemented by cushioned or sling seating can set the stage for backyard barbecue dinners. 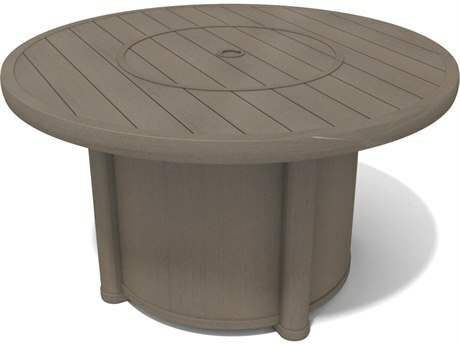 An adirondack set can be nicely finished with a small white patio table to provide a place to set drinks and magazines on a small dock. 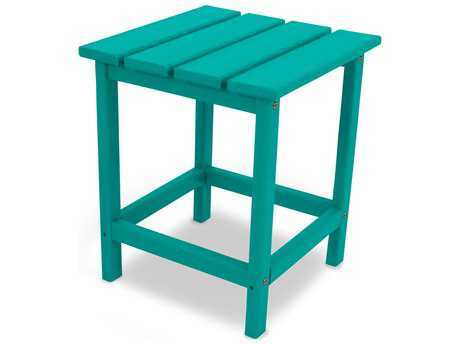 A backyard bar can convey a fun and casual atmosphere styled for laid-back entertaining. 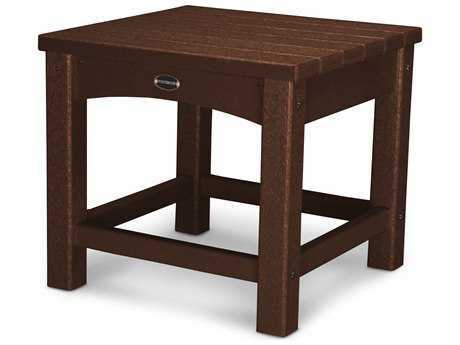 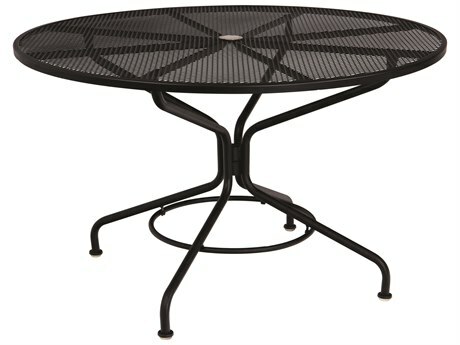 Whatever your entertaining style and size space, PatioLiving carries a diverse inventory of these tables, in numerous colors and styles, and crafted from varying materials, each suited for a particular aesthetic preference or environment. 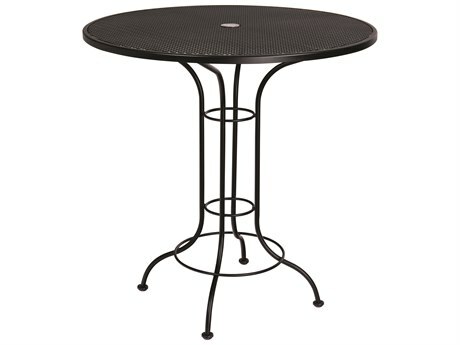 These types of tables offered by PatioLiving includes bar tables, counter tables, bistro tables, dining tables, coffee tables, console tables, and more. 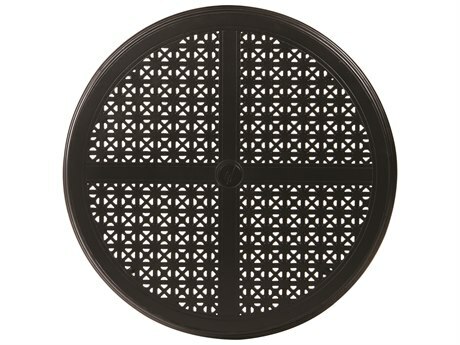 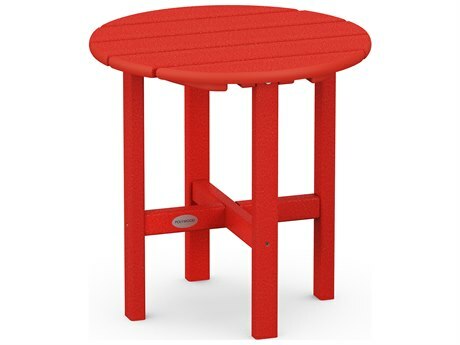 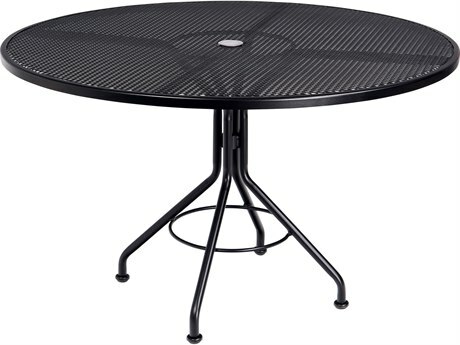 These table styles also come in many different shapes such as round patio tables, square patio tables, and hexagon patio tables. 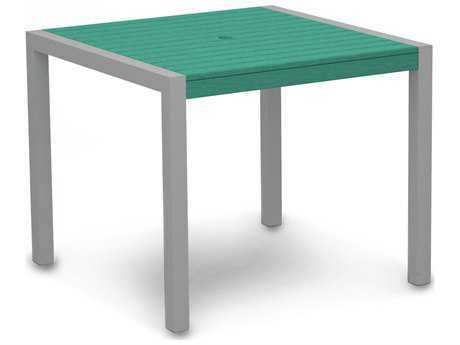 Each type of table provides different functionalities and benefits, making particular types more suited to specific uses and spaces. 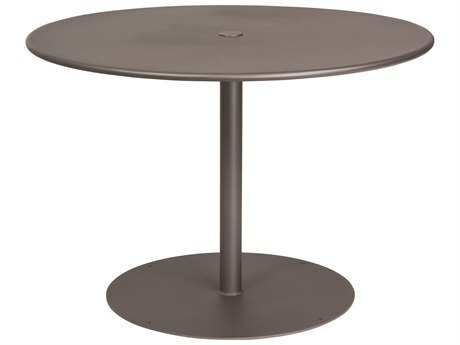 When choosing a table for your space, size, use, formality, and aesthetic of the space are among the factors to consider. 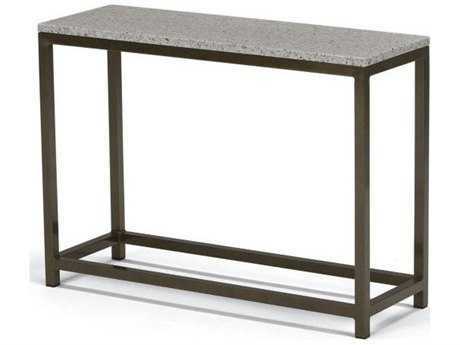 These pieces can be categorized by three general heights: counter, dining, and lounge height. 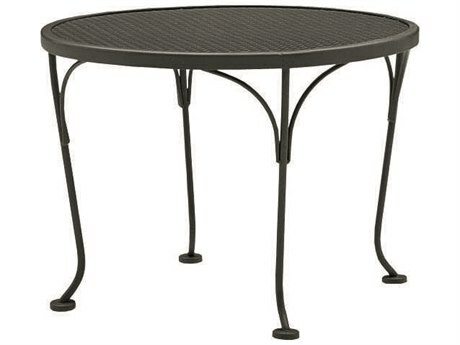 Whether you prefer a small patio table or a large table, the height of your outdoor patio table can add dynamic dimension to the look of a space and also establish the level of entertaining formality. 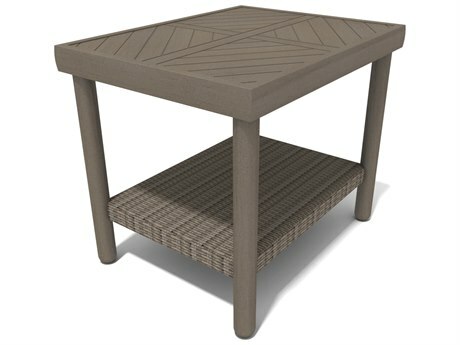 Dining height tables typically conveying the most formal atmosphere, while a small outdoor table with a lounge height conveys a casual vibe. 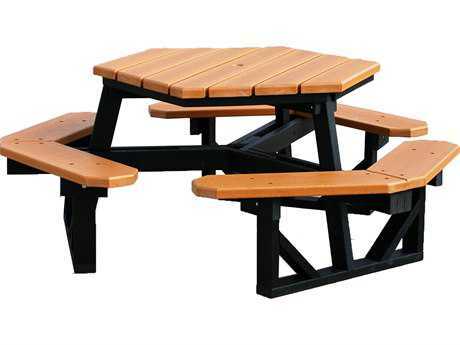 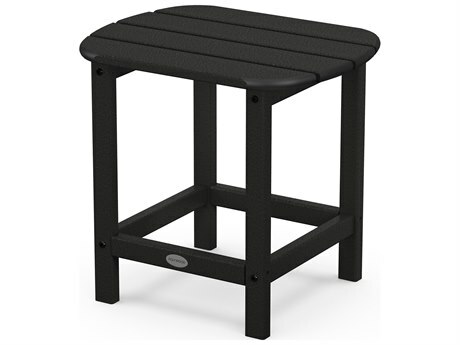 Several of these styles carry unique elements of functionality, such as picnic tables, which provide seating and a table surface in one furnishing, and fire pit tables, which provide decorative warmth in colder climates. 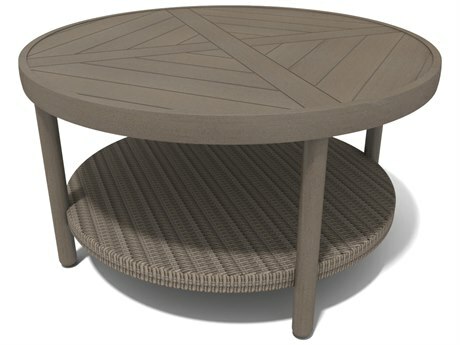 Each type of table for your patio is crafted from varying materials, with each material having unique benefits as well as drawbacks. 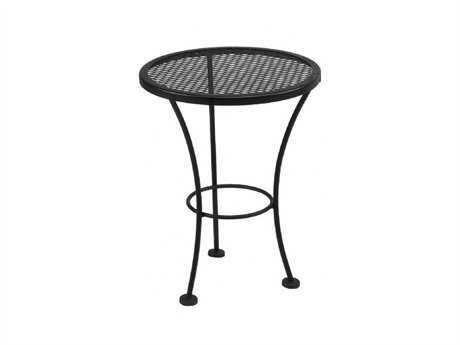 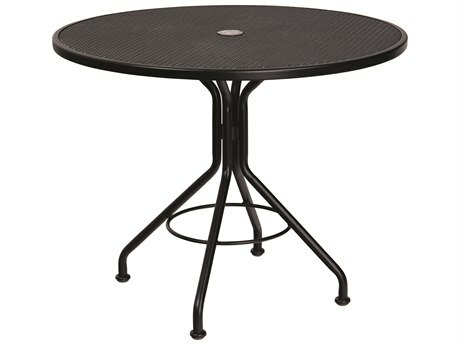 There are many different styles of these tables manufactured using different materials such as metal patio tables, glass patio tables, tile patio tables, and mosaic patio tables. 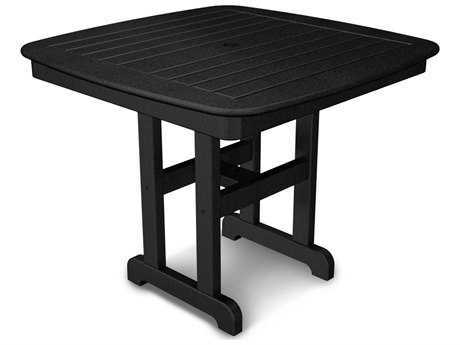 The materials used in the construction of your patio table impact the look of the piece, and also determine how the table will function and fare in different environments. 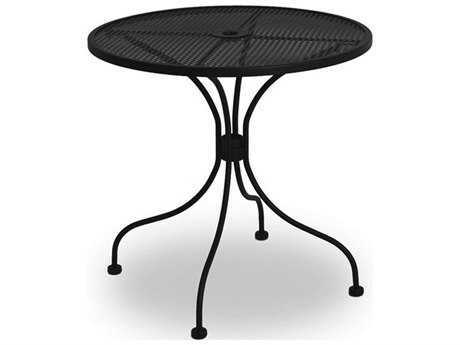 The options for material construction offered by PatioLiving include wrought iron, recycled plastic, cast aluminum, glass, teak, or a mix of these. 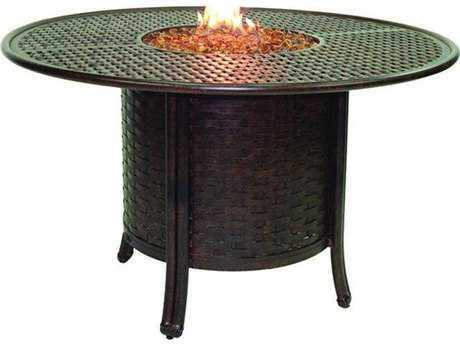 Luxury decorative tops crafted from fine stone are also available. 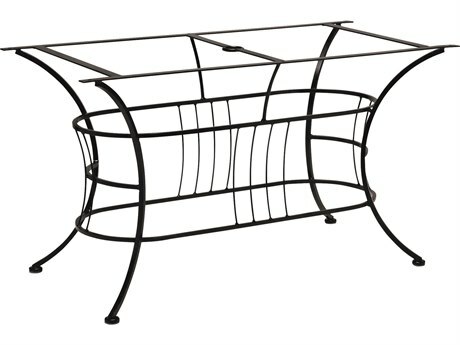 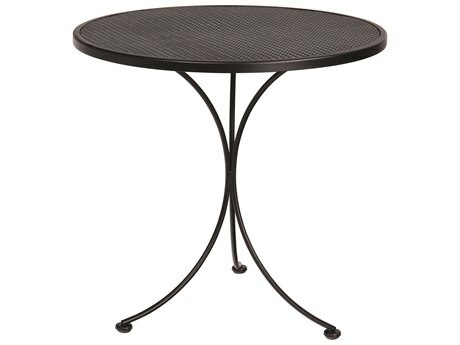 Many of our most popular dining tables are crafted from wrought iron. 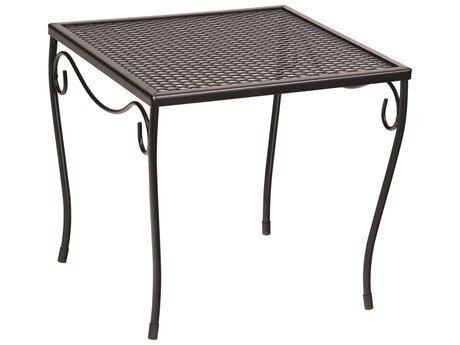 Wrought iron tables provide a classic look, that’s both durable and easy to maintain. 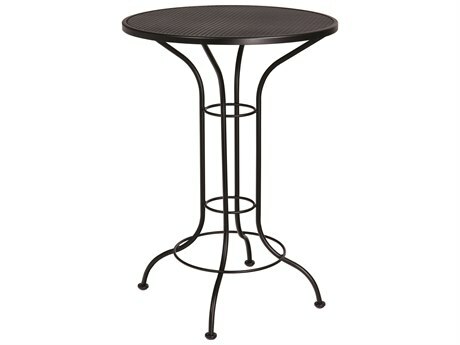 Wrought iron tables are widely available in numerous finishes and tables crafted from this material often feature fine patterns and detailing to add an element of custom design to any space. 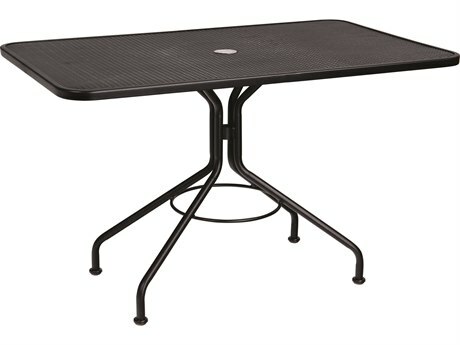 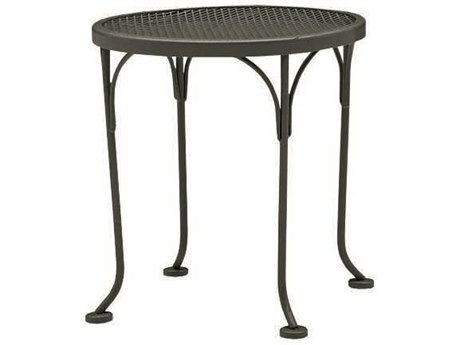 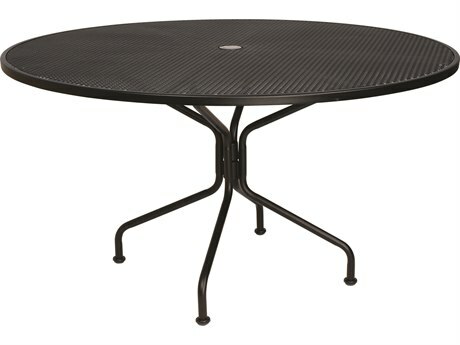 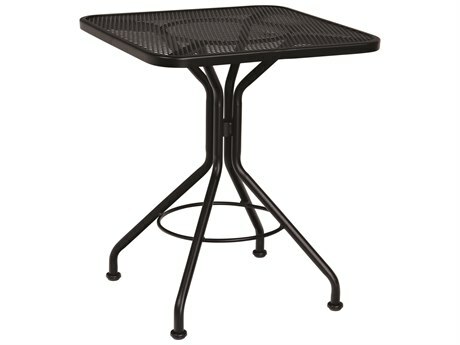 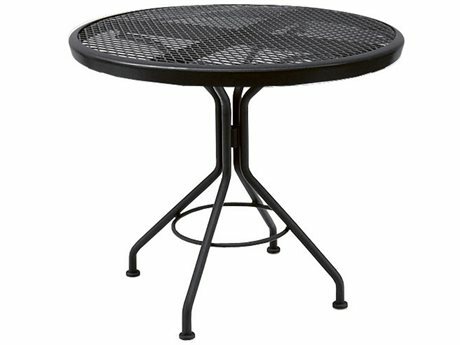 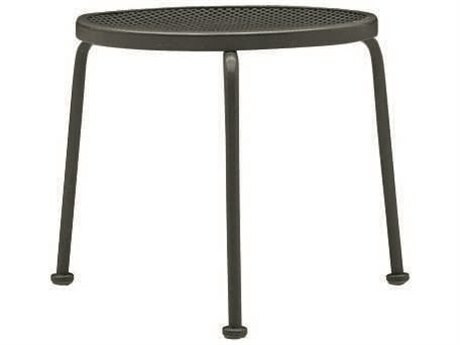 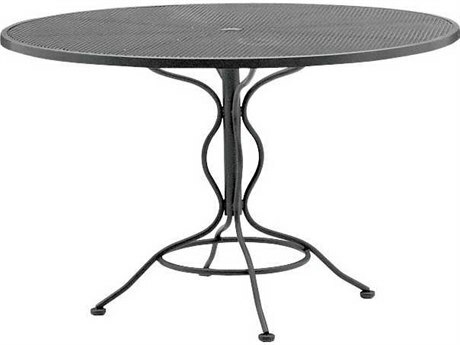 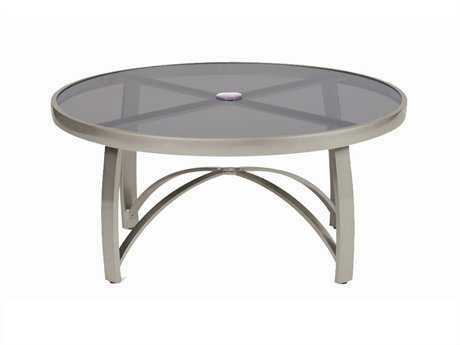 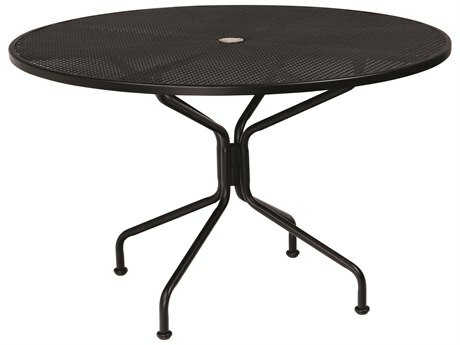 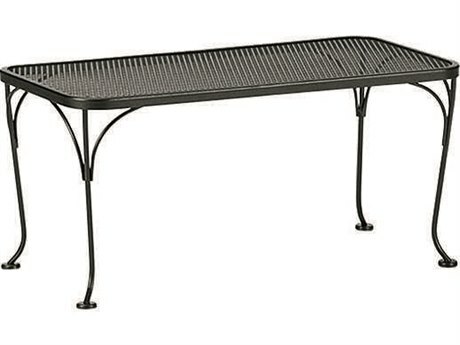 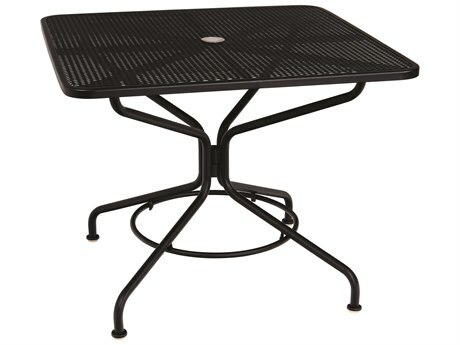 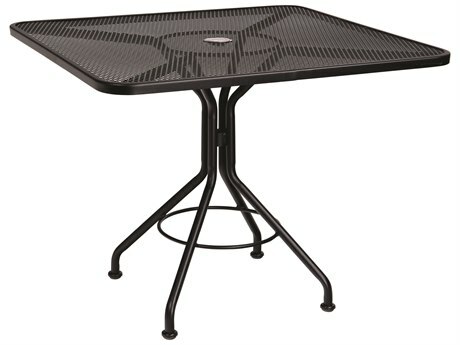 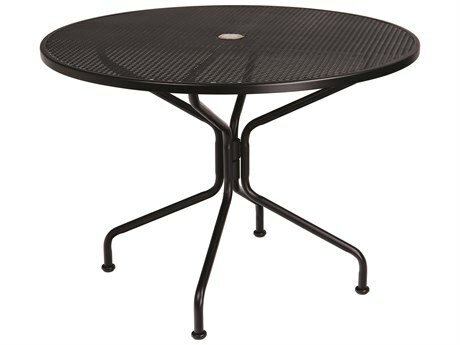 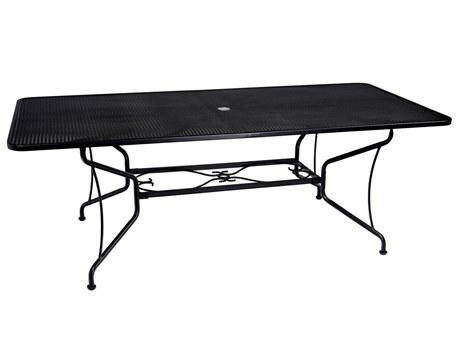 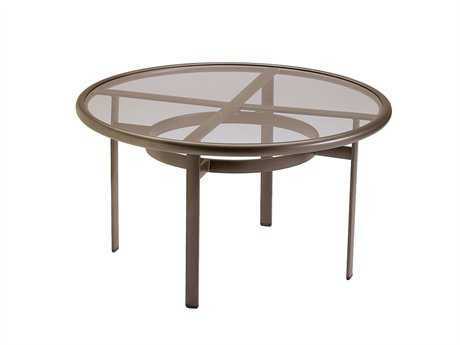 Both aluminum and cast aluminum tables offer tremendous value to any backyard. 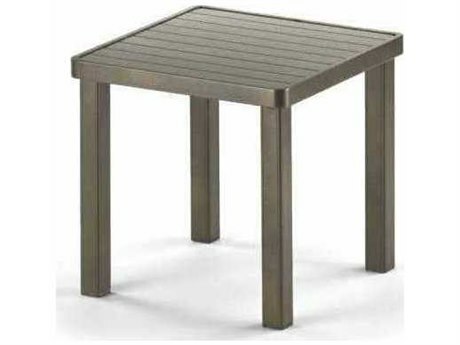 Metal outdoor tables crafted from these materials are both durable and lightweight without being expensive. 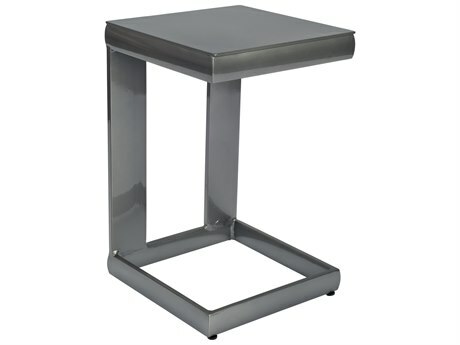 They are also easily customizable with a variety of finishes generally available. 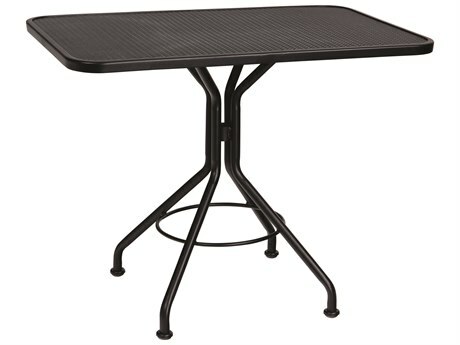 Glass top tables are popular on pool decks and as dining tables, because they are both water-resistant and easily cleaned. 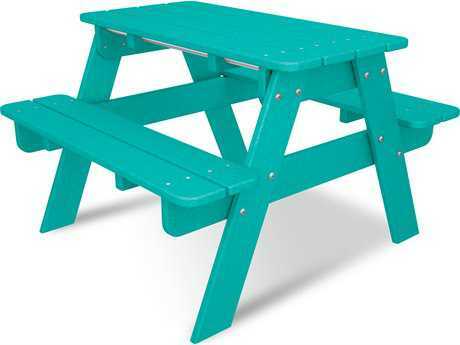 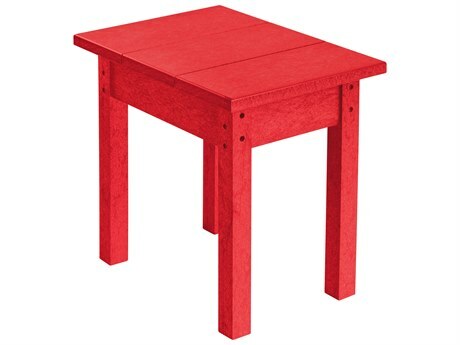 Recycled plastic tables are popular for their classic aesthetic, durability, and vibrant colors that will not fade over years of use. 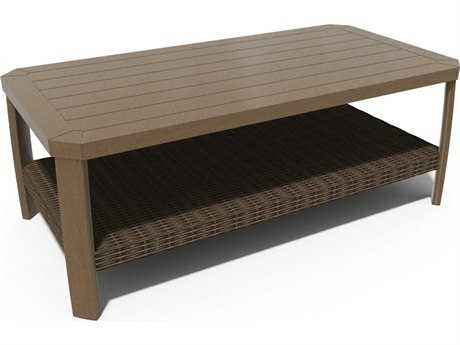 Teak tables are popular for their natural wood look and fine finish that darkens over time to a gorgeous unique patina. 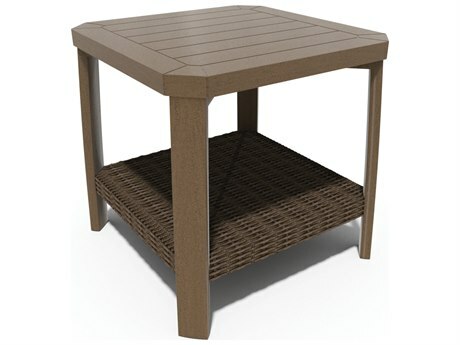 However, teak tables may be more susceptible to damage from the outdoor elements. 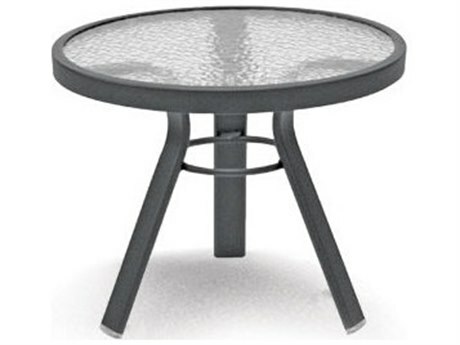 These tables offer both decorative value and unparalleled functionality to any outdoor setting. 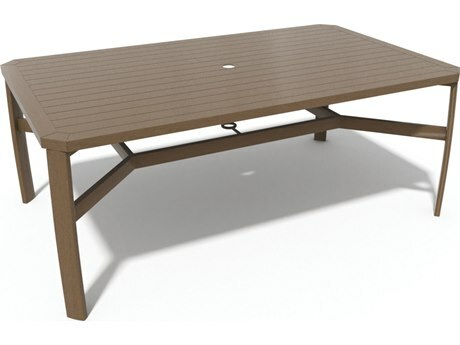 PatioLiving’s wide selection of various types of tables, crafted from varying fine materials makes it possible for everyone to find the table best suited to their outdoor space and personal sense of style. 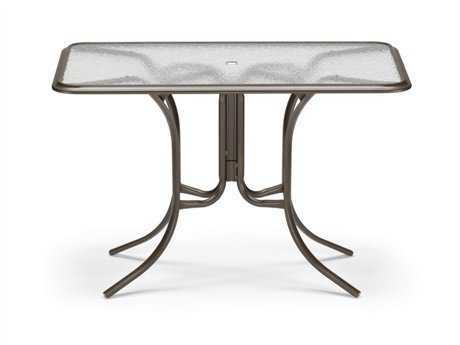 Whether you prefer a mosaic outdoor table or a metal outdoor table, PatioLiving has the table for you. 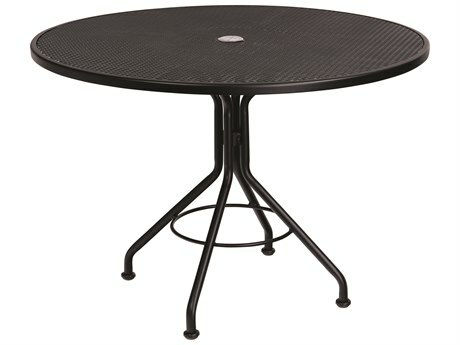 Our charming bistro garden tables provide a well-sized table solution for any small space, such as a balcony, without appearing crowded. 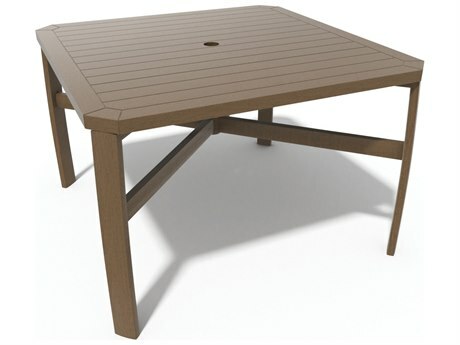 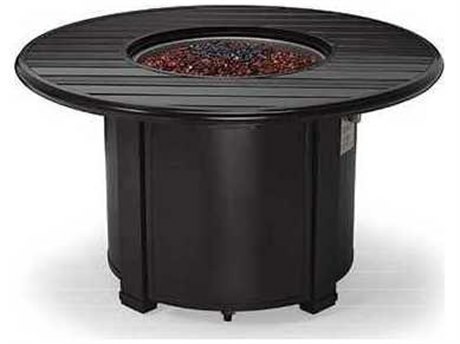 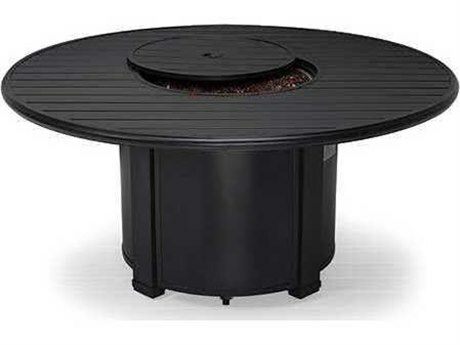 While our large outdoor square and outdoor round tables are appropriately proportioned for large backyard settings. 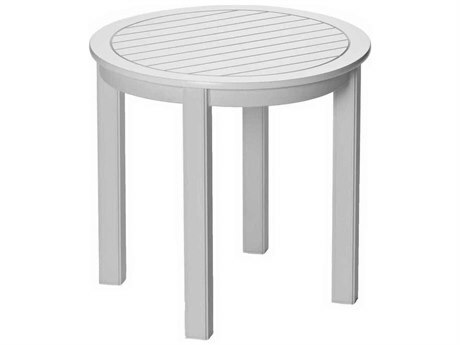 Whatever their size, style, or use, a table is sure to offer an element of dimension, functionality, and style and make any outdoor space suited for years of enjoyable use.